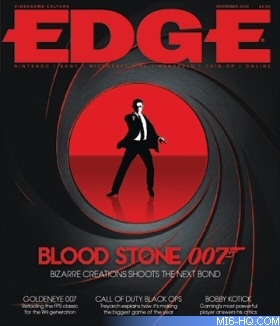 In issue 220 of Edge, which has just arrived in UK newsagents, the magazine visits Bizarre Creations to take a look at the next instalment in the Bond legacy, Blood Stone. In the absence of a new film any time soon, Bizarre's thirdperson action game will be Bond's next vehicle. 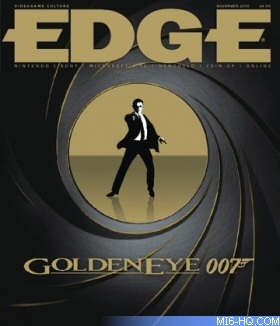 But Blood Stone isn't the only Bond prospect on the horizon, and they also have a look at Eurocom's take on GoldenEye for Wii.